I meant to do an update on my smallest batch of chicks, showing how each one changed from one week to now; but I moved them outside before I could do that update. 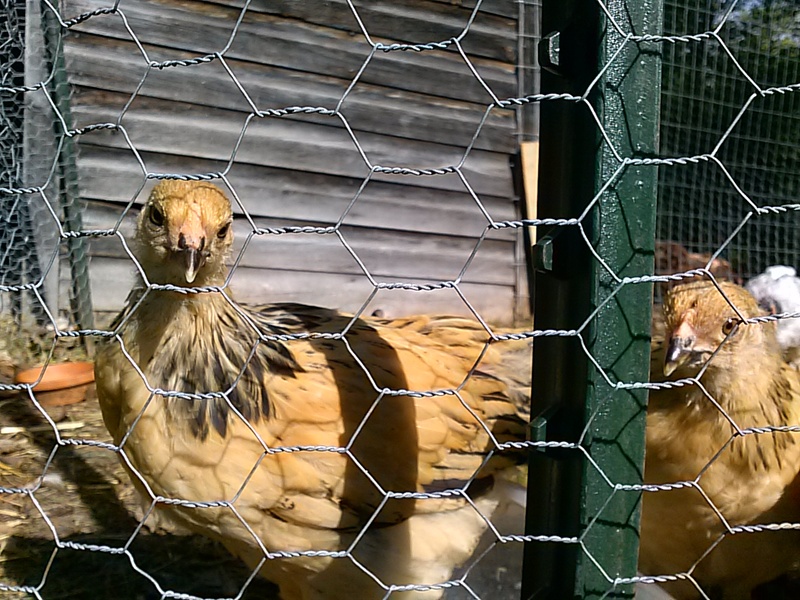 I don’t want to traumatize them by catching them all – it’s harder to do once they are out in the coop. 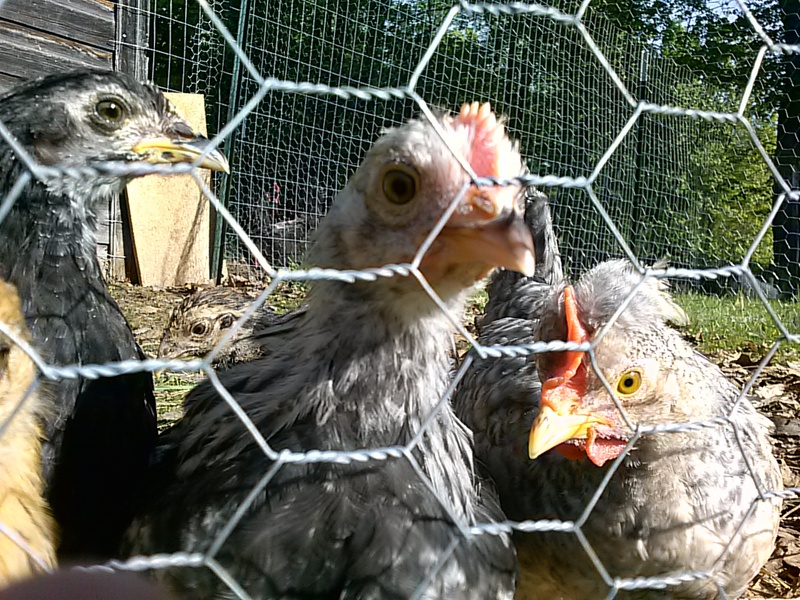 I went to their coop with my camera and they were very curious; I think they were hopeful that I had some treats for them. Here are some cool pictures of the babies – they are now 6 weeks old. 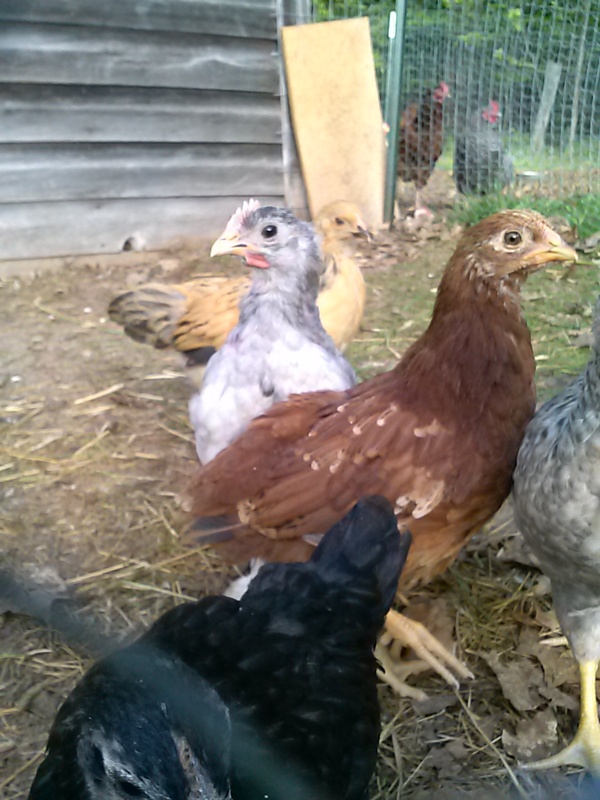 Here you can see one of the Buff Brahmas on the left (we have two this batch) along with a red chick and our little rooster who has a strange puff of feathers behind his comb – this little rooster started crowing in the last week. 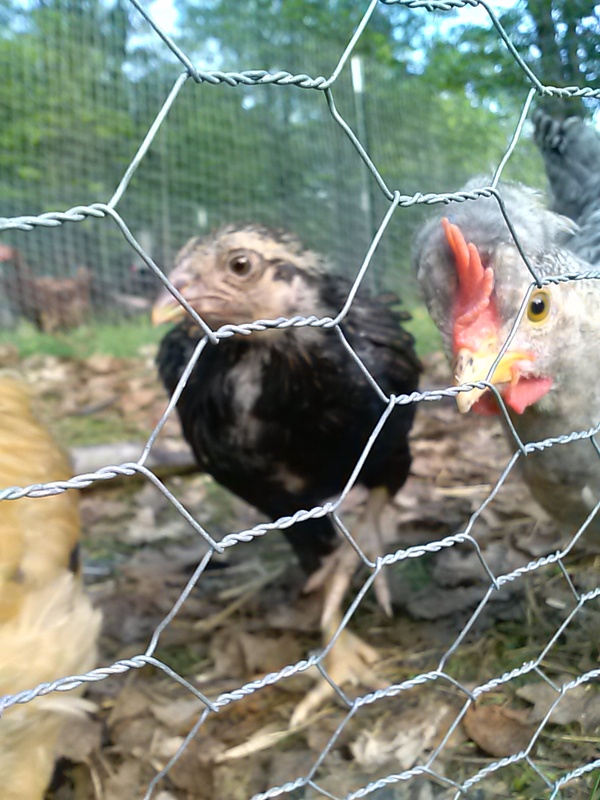 Here’s our Black Sumatra (I believe that’s what he/she is – this is the escape artist) along with a gray/white chick (the dorking, I think) and the rooster. Here are my two small Buff Brahmas. I called these two “the twins” in the first photo shoot of them back in late April. 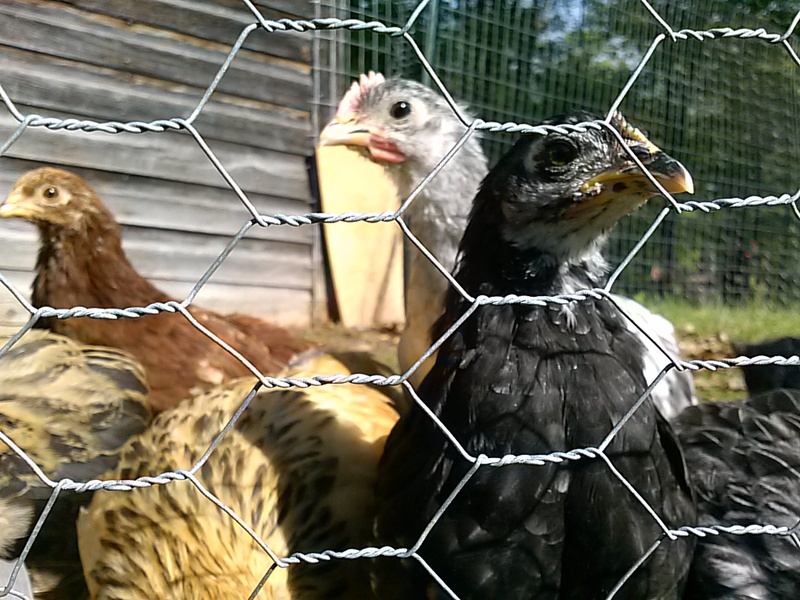 Here’s my Sumatra (in front), the dorking, and the red chick. Here’s my brown speckled chick. He / she is a little more shy than some of the others. The rooster apparently likes to be in pictures, so he’s here too. 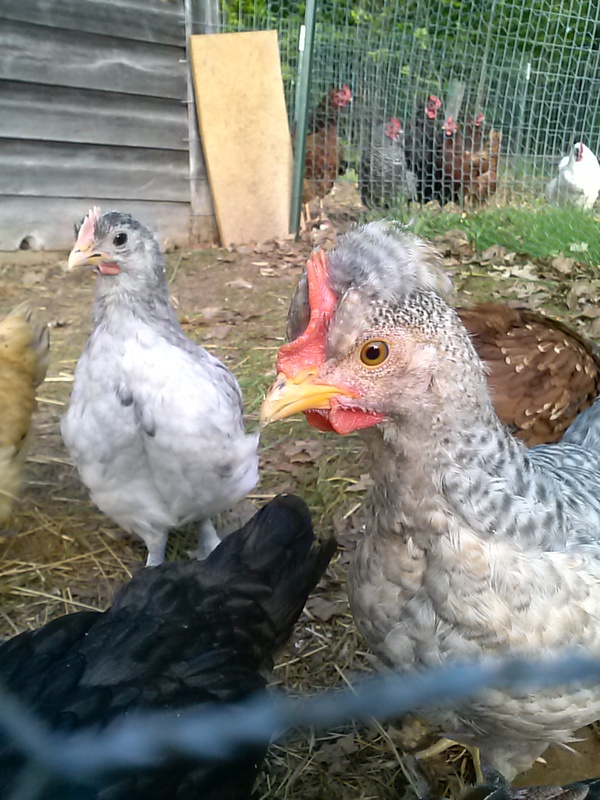 The whitish/grayish chick is a White Brahma, I believe. She has feathered legs like the other Brahmas. And the rooster is here too. 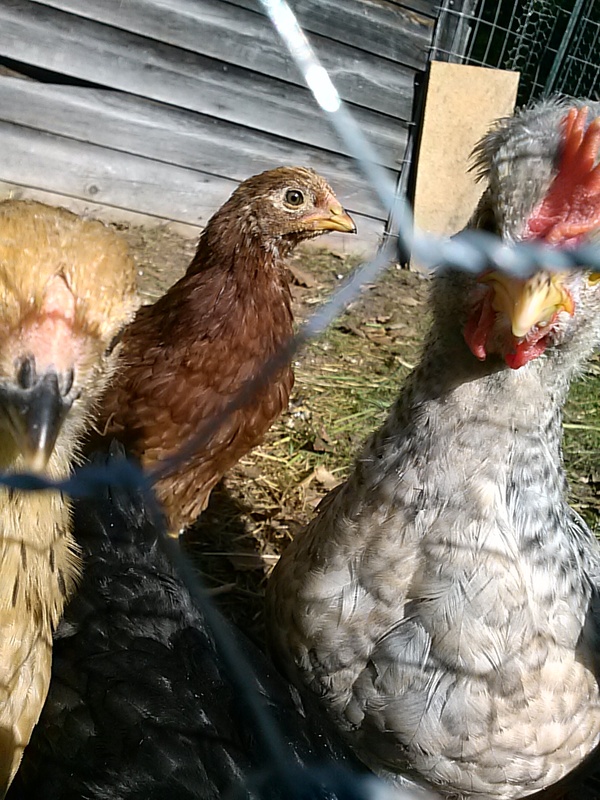 My white Brahma and my red chick, and a Brahma behind them. They are getting big. I’m a little more able to tell what kind they are. A few of them I’m still not so sure (even with the “teenager” chicks I still have no idea, and they are pretty much adults). 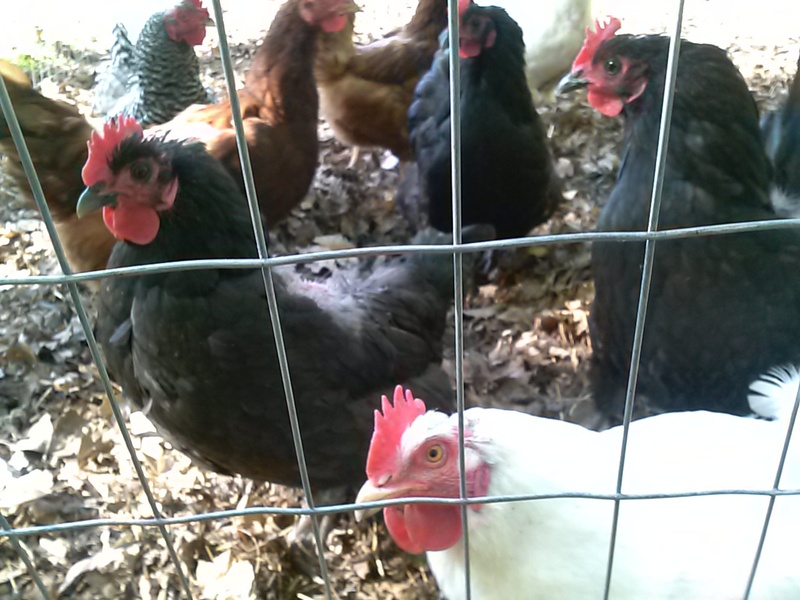 Here are my adult hens. My “teen” chicks were inside the coop eating instead of watching the photo shoot, so I didn’t get pictures of them today. They have been getting along better with the adults, but they still keep to themselves as a group instead of mingling with the adult hens. Previous Article The new garden bed is ready! Adorable chicks and lovely hens. We have some around the same age, and then some barred rocks a few weeks older (a month older) and they stay apart in separate groups while living in the same coop. I hope they grow up to mingle a bit more. I have a crowing young rooster in the 7-8 week olds too. Precocious. Not too loud yet.